50s Retro style Smeg bar fridge combines a classic, vintage look with cutting edge technology. It dominates its surroundings and the Italian design blends art and functionality. Enjoy all the luxuries of a normal fridge in a smaller version. Automatic defrost technology ensures you never have to manually defrost your fridge. It prevents ice build up which makes your life easy. More advantages include better temperature management and improved air circulation within your fridge. 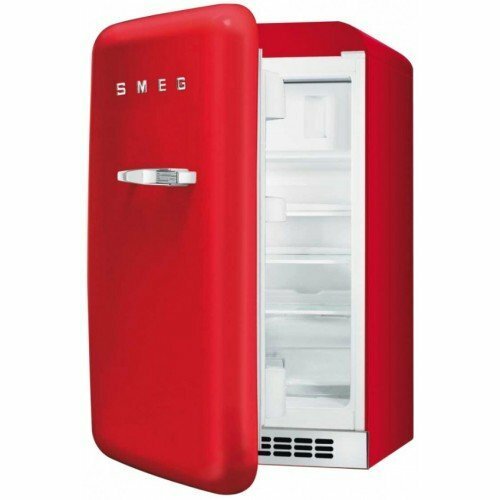 The Smeg FAB10 Bar Fridge was added to the Refrigerators category in June 2017. The lowest price GetPrice has found for the Smeg FAB10 Bar Fridge in Australia is $1,579.00 from Appliances Online. Other merchants who stock it are Appliances Online, Bing Lee.